She stared at the plate set before her. It was the weirdest conglomeration of food she’d ever seen. The blank look on Kate’s face must have elicited the response of giggles from her husband. He had done this on purpose, but she really would never know. The kids were to have chosen the meal for Mother’s Day breakfast, but little did Kate know that her darling husband, Ryan had assisted them in the choosing. The girls were elated to have made mommy breakfast in bed. As she choked down chocolate cake, scrambled eggs, some fruit salad consisting of strawberries and bananas, and some leftover pork chop from the night before with peach compote, Kate thought of how lucky she was to have such a beautiful family. She relished the thought of this happening every year, but knew this may be the last year. She had been diagnosed with Stage 3 breast cancer and had just undergone her bilateral mastectomy 2 weeks before. She couldn’t think of her little girls growing up without her. She had a will to live that was fiercely strong. Her girls, Ella, aged 4 and Emma, aged 2, were her life. She was so blessed to have them as well as having the most loving and supportive husband. Ryan worked so hard so she could stay at home with the girls. How had she not felt the lump? Why did she stop doing the stupid monthly self breast exams? Tomorrow she would start the radiation and next week her chemo would begin. She knew how sick she would be from both. She didn’t like to think about it, but she did think about it. Of course she thought about it. She was normal, for God’s sake. And she prayed every day. She prayed for healing. She wasn’t sure how her girls were going to handle all this change. She looked up at her husband. Now it was his face that was blank. “Honey, what’s the matter?” she asked him gently reaching for his hand. “Thank you,” was all she could manage to say between the tears streaming down her face. The blank look was gone between both of them. There love had lasted through these last 20 years of high school, college and the rest. Their’s was a love that would stand the test of time. If time was what God and medicine would give them. She loved storms and this was a beautiful one in her eyes. The sky was dark, so dark almost as dark as if it were night. The brilliant flashes of lightning shattered the sky every few minutes and the thrashing rain pelted the windows as if they were going to break it at any second, an invader into her house, yet not so much. Yes, this was a beautiful storm for sure. Karri was hoping this one would last for a good long while so she could use it as an excuse not to meet him. She really didn’t have any good reason not to meet Claude, other than she agreed to, one last time. She continued getting herself ready. She put on the short, lavender dress. The one that went with her auburn hair so well. People always gave her compliments and told her it brought out the color of her eyes when she wore it. “What did they know?” she thought. She was in the mood to tell him off. How dare he call her after not even calling her for over a week. She had texted him everyday to see if everything was alright. She hadn’t heard one word. She was done. She would tell him it was over. Karri wasn’t someone who put up with excuses. She had done it before, but that was the old Karri. Claude had gone to Syracuse to see his ailing mother, or so he said. Why would he not text back, unless he chose not to. Well, Karri had decided after the 3rd or 4th day that it was really quite simple. Claude was seeing an old girlfriend. She knew who it was. It had to be that one. The one who broke his heart years ago. Cheryl or Carol. Whatever her name was. It really didn’t matter. Whatever the excuse was, Karri wasn’t going to hear it. Not this time. She really didn’t care what he said. All she could think was, “Oh no, not again.” It was like that with her in relationships. This one was just like Ricky. Ricky had been her previous boyfriend, but he cheated on her several times. When she found out, she broke it off and never looked back. But she really thought Claude was different. Claude was sophisticated. He was more complex than Ricky. Maybe she was wrong. Maybe something more happened at home in Syracuse. Maybe his mom was seriously sick. Ricky was carefree and in a band. He was no businessman like Claude. Claude usually called every day. She started to rethink things. Maybe she was wrong about him. He was a good man. She really had no reason to believe that he had done anything wrong. “Hi, Babe.” Claude sounded soft and rather sensual. He did melt her heart when he spoke in that deep, soft voice. “Babe, my mom…” he trailed away. “She.. she’s dead. She had a massive stroke and there was nothing that they could do.” She heard the anguish in his voice. She knew she had been wrong, but felt so bad in how she had been so quick to judge. Karri sat down at her kitchen table trying to keep her emotions from getting the best of her. She took a deep breath. Her heart was doing a happy dance because she did really love Claude. She hadn’t really realized it until this moment. They had been seeing each other for 5 months and yet, she had such a difficult time embracing love and being in love much less the man of her dreams declaring his love for her. Yet, he just did. Was it the fact that his mother just died or that he truly did love her? What should she say? This has been a fictional story created for The Blog Propellant which is awesomeness at it’s best! My number that I have chosen at random is 27! I chose to use all 3 prompts, because it’s so much fun! I hope you enjoy this story as much as I have enjoyed writing it. It took me about 25 minutes to write. The hardest part was finding a picture to go with it! Many of us who are creative have issues with being hard on ourselves. I know I am. I often think, “why would anyone ever want to read my work or look at my painting.” It’s a similar story in life. I often times question whether I’m good enough and I’ve written about this before. The thing is, I’m learning to accept that I am absolutely good enough. I am more than good enough. Wow, that’s even hard for me to say, much less write. Many creative people suffer from self worth issues. It’s just one of those things we stress over. You see, in my case, I have always worried about pleasing people. I want the world to be happy. I want to make each person I come in contact with to be happier because of me, or something I’ve done. I hope this makes sense to you. I just hate disappointing anyone. The very thought of being a disappointment causes anxiety. I have struggled with being enough for many reasons my whole life. I always have considered myself not enough. When I was young, I wanted so badly to be like my big brother. He was so smart, so good at school and tennis. In my mind, he had everything that pleased my parents. I felt like I never filled their expectations of what I should be. I was just above average in school, I didn’t feel very smart and I was just okay at tennis. What I excelled in was music. My brother played piano as well, but did not have the talent that I did. He can not sing like I can. Now, I realize that it’s okay to have different talents. I also realize that I made up this idea in my head that I wasn’t good enough. Sure, my parents wanted and expected me to excel, but my mom always said, “just always do the very best you can and we will be happy.” My dad, on the other hand, was a man of very few words. I guess I wanted him to tell me that he was proud of me. He finally did when I became a nurse. I was over the moon with happiness. I finally felt like I had his approval and felt his joy for something I had accomplished. It felt so good! If only that was the only time I felt like I was enough all the time, I wouldn’t question my strengths. I wouldn’t question whether my writing was good enough to be read by others. I wouldn’t ask if someone would actually like the butterfly or flower picture I worked so hard to create. I wouldn’t mind playing piano in public places anymore, even though I’m rusty and I would actually offer to sing the solos in choir at church. But I don’t. I know that I may be enough, but to imagine myself as actually good? Well, that’s where it gets difficult. I just continue to work on believing that I’m good enough and pray that someday, I’ll move up my scale to a good. I know too many people that are far more talented than I could ever hope to become. But what happens now? I keep plodding along and marching to my own drummer hoping someday, I’ll have the accompaniment to go along with that drumbeat. I still battle the self-doubt and self-worth issues, but I’m working on those every day. 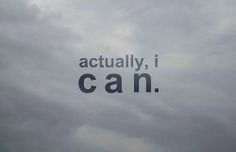 I have to because it is me, and only me that can change how I view myself and my world. I try speaking to myself kindly and thinking kindly as well as doing kind things for others. What I have learned so far, is that we are our own worst critics. We are hardest on ourselves. It’s something that we need to all work on Step back, look at yourself and try to imagine yourself as others see you. I guarantee, they see someone who isn’t as bad as you do. This is my Katie. She is my artist. This is her Bob Ross drawing/painting that she did. Yes, she drew him. She’s 14. Often we hear parents say how awesome their kids are and they are incredible kids. They each have their own unique talents. Well, this post is a post specifically dedicated to my youngest daughter, my baby girl. She is a true artist. She is not an athlete. She is not, by any stretch of the imagination, great at math, but when it comes to using her mind for creativity, well, she excels like no one else I’ve ever had the pleasure of knowing. She doesn’t think like the rest of us. She is special. She is extraordinary. The kicker is, she’s only 14. Another piece done by Katie Hylin, my daughter! I wanted to share some of her artwork with you today. Now I will tell you that she not only excels in art, she also can listen to music and within a day or maybe two, she will be playing the piece. She had a couple of years of piano lessons that I insisted on and when her teacher moved out-of-state, she informed me that she was done with lessons. Please understand this young lady is most definitely a free spirit. She doesn’t see the world like the rest of us. She sees the world from a completely different view. It’s really very refreshing when you actually try to see things her way. She is very relaxed about most things. She dress not to be fashionable, but to please herself. She wears short overalls with tights and a tank top and makes it work. I don’t think I could ever make that work, even in my youth. She is always sticking up for the less fortunate and for the underdogs. She is soft-spoken most of the time, but she can be wild and crazy. Her favorite music to play on the piano? Well, it isn’t Mozart or Tchaikovsky, that would be me. She prefers video game music, movie soundtrack music and other random stuff you wouldn’t be familiar with. I know some of it drives me crazy, but deep down I’m so proud of her. So here is a shout out to my baby girl. She will be finished with her freshman year as of tomorrow. My husband and I are praying to God for some good grades, but she probably isn’t as concerned as we are. It’s just not in her nature. This world has been cruel to people like her. She has anxiety and suffers occasionally from panic attacks. They were really bad after my mom died, but lately they’ve been much, much better. Her artwork keeps her grounded which is what she needs more than anything else. I hope you enjoy it half as much as we do. We think she’s pretty extraordinary. Katie and her makeup as the Cheshire Cat! Yes, she did this herself. I love when I feel positive about life. When I’m more positive, it makes the world around me a more positive place to be. I can’t say that I always succeed, but when I do, oh boy, it’s a lovely world I’m surrounded by. When I’m surrounded by negativity, I feel depressed. That makes it really hard since I suffer from depression as it is. I always say I’m a work in progress and I truly believe it. My goal is to become the best person I can be. This means I have to not only have to believe in myself, I have to be patient and kind to myself and to those around me. I’ve been working on being more kind to myself now very hard for about a week and a half. I’m proud to say, it’s going rather well. Each morning, I get up and tell myself that I’m worth the love that my husband and children show me. I’m also trying to look for kindness all around me. That will be a post later this week. I’m in the Revolution of Kindness which is truly revolutionary to me. I really want to transform myself from the inside out. If I can be the best person from the inside, then my family, friends and the world will have the best me possible. I think my oldest daughter will hopefully see this transformation the most, as she lives away from home. I love all of my children so much, but she and I have a bond that is unique to just us. We are very alike in many ways but also so very different at the same time. Since she doesn’t live at home, she should be able to see a difference when she comes home. If you would like to join the Revolution of Kindness please do! It’s making a difference in my life already and it’s only been a week and a half. Just click here! Underestimate. We often underestimate things. We underestimate the cost of items we purchase. We underestimate what people do, especially what we are ourselves. We underestimate in particular what we are capable of. Why? I know I underestimate what I’m capable of because I frequently think I can’t do this or that. I feel not good enough or not strong enough for whatever it is that I’d like to do. I won’t say that I always think this way because that wouldn’t be true. It’s not, believe me. Once I focus on something, I am ultra focused and will ultimately achieve my goal. But the truth remains that there are bumps in the road, even in the greatest of triumphs, when I underestimate my abilities. Sometimes I think this is our way of keeping ourselves humble to some degree. I won’t say that we become humble because we underestimate ourselves, but when we question our own abilities, it does help us to take measure of our strengths and weaknesses and offers some insight into who we are if we are indeed honest with ourselves. That part is the hard part. We have to be good at being honest with ourselves though. We have to be kind as well as honest. It does no good to beat yourself up about not being good enough at something and not looking at the things that you are truly exceptional at. For me, I find it difficult to see the exceptional part. I find myself good enough, but not extraordinary at most things. For instance, I know very well that I’m a good nurse. I’m really good with patients. They like me. I know this because they’ve told me they like me. They’ve told me they don’t want any other nurse besides me. I suppose to some, that would make me an exceptional nurse, but to me, I see myself as a good nurse. I say this because I know that there are so many things that I don’t know in my field that would make me a better nurse. Those are the things that I strive to understand so that one day, I may be a great nurse. That, hopefully, keeps me humble. As a parent, I’m sometimes a good one and sometimes I’m lacking in the good parent category. Who isn’t! Find me anyone who says their the perfect parent and I say they must medicate with something. Find me their drug because I want what they’re having! Seriously though, many people have their public and their private personas. In fact most people do. I had very high expectations before I had children about the kind of parent I would be. I SO underestimated what parenthood truly was. It’s grueling work. It’s neverending. It’s also the most rewarding job I’ve never taken a day off from and had for 20 years. I’ve loved it and hated it. I’ve wanted to go on strike! Alas, here I am. Still underestimating myself as a mom almost everyday and still getting up the next one and doing it all over again, and again, and again. I wouldn’t have it any other way. I love these 4 kids more than the air I breathe. I wouldn’t want for a more fulfilling job as this. I wouldn’t change a thing. Well, most days. If we were having our weekend coffee today, I’d tell you this has been an eventful week! I had my meeting with my surgeon regarding my pancreatic cyst. I finally got the results from my biopsy that was taken on April 19th! Yes, almost a month later! Can you believe it took that long? Me either! The initial results took only a week and they wanted to do more testing. They called and told me I had many atypical cells which means my cyst was precancerous. The best means to take care of this is to surgically remove it. It’s a big cyst. I’m ready. Bring it on! My week was also filled with working with wonderful people in another department of my new place of employment. As many of you know, I’m a nurse and this past week was nurse’s week. As this department is very generous, we were fed all week! This was not so good for my diet, but my belly was kept full and let me tell you, it was very tasty! We had pasta, salad, fruit, baked potatoes, cookies, doughnuts, sandwiches, breakfast sandwiches, cinnamon rolls, and more! These people know how to feed their employees well! I would tell you that it was my son’s last hockey game of this session and my daughter’s last high school Spring Show. It’s hard knowing that next year, I’ll only have 2 children at home, but also kind of exciting at the same time. I love knowing that my 2 oldest girls will be pursuing their dreams in college. Knowing that I have 2 birds that have flown the coop and 2 that are still in the nest is a comforting thought. I must be doing something right. I’m proud of my 2 oldest girls. For now, let’s just sit back and enjoy our Colombian blend coffee with our Creme Brulee creamer. It’s delicious. I’ve eaten so much. I’ll stick to my small omelet for breakfast. What will you have? Many people write these days about how kids spend the majority of their time on electronic devices, but there are still those kids that play outside. If I could take away some of the computers, mobile phones and game systems, I probably would, but sometimes they are kind of nice to have around, I’ll admit. Sometimes, kids do actually learn something from them, but other times, they just waste an extraordinary amount of time on them. I know from personal experience with my own kids, but let’s go back to explore what we did when I was young and compare. When I was young, I spend my days outside playing for the most part. I was a normal child who loved playing with my neighborhood friends. We would ride our bikes, play soccer, make believe that we were in other worlds, play tag, catch lightening bugs. We had a blast! We would wander around the neighborhood and just go from house to house playing with each other and gathering more friends often times. We would also play inside our friends’ houses, too and play board games, although I still don’t care for Monopoly, play Barbies, play house and make believe we were on board a rocket ship headed for Jupiter. Some of my friends, including my husband’s family, had an Atari 2600. There were times we played that as well, but we didn’t spend tons of time playing it. You see, the graphics weren’t great, like today, and we had other things that we liked doing. My husband was so good at Pitfall. I was enthralled and amazed at his skill. I eventually got an Atari, but I had only Combat and Pacman for it. I loved it, but again, I had other things to do with my time as well. It was on a small, black and white TV but I did love that Atari. It was mine, until dad did something while playing it and the darn thing broke. That ended my Atari life. The thing is, we didn’t live for our game system. We weren’t allowed to eat, sleep and breathe video games and there simply weren’t that many games to play. Prior to the Atari, the system of it’s day, there had been Pong. I also loved playing that at my cousin’s when I visited. We had a life outside of games. Our family just got a used video game system for Christmas, which my son adores. If he had his way, he’d play it all the time. The Boy loves playing football on the system most of all. We don’t allow him to play it all the time, which he has gotten better about since the weather has gotten nicer. He still loves to play outside and with his friends. I’ve talked to him about staying inside vs. playing outside. I will say that if there is a knock on the door, he knows his friends’ knocks and runs off to play immediately. He’s just like I was at that age. The kids these days are not as active as when I was a kid on a whole, but perhaps they aren’t allowed to run around outside like we were as kids either. I’m very thankful that my kids are like me and have been active kids. Sure, I was very active and my son is the most active of my kids. He’s just like his parents who never stopped going as kids. I’m so blessed that I had such a great childhood. I had everything I could have ever needed or wanted. I didn’t realize it at the time, but what child does? I always had plenty of really good food to eat, a roof over my head, a fantastic backyard to play in, good friends to play with and a family that loved me. What more could a little girl ever ask for. Kids need love, food, shelter and the great outdoors. I provide this for my children and I work very hard to do so. I also have happy and healthy kids because of it. How could I ask for anything more. Perhaps everyone should encourage their children, like we do, to get outside more and enjoy life and their imaginations like we do. Their kids will thank them for it, eventually! Well, I certainly wish I was at the beach right now. There is no place in earth I love more. The sun on my skin, the sand in between my toes, the water to swim in! What could be better! I absolutely love the sound of the waves splashing against the shore and to watch the birds swoop down into the water. Florida has my favorite shores or should I specify? My favorite is in Naples. The white sandy beaches, the sea gulls who I have been known to feed leftovers to and the dolphins that swim along side the boats. What’s not to love there? I have such find memories too. I took 3 of my kids there a month ago which was great. I wasn’t able to enjoy it as I usually am, but I will again the next time. There will be a next time soon again but with my fabulous Hubs. He deserves a holiday more than anyone I know. He works so hard to provide for all of us and hasn’t had a holiday for quite some time. Hopefully, we will get there this summer, but it seems like our time is filling in quickly as usual. There is nothing more romantic than a walk along the beach at sunset with the one you love. Hubs and I both adore the water and swimming so you can imagine how much it would mean for us to get away for our anniversary this summer. I just want to make it happen. It’s so important to keep the love alive in a marriage. Sometimes you just have to get away together to make things a little extra special. I’m the hopeless romantic so I try to occasionally do those special things. I like to show him how special he is to me. He shows me his love everyday.